Why do people have so much difficulty achieving their goals, making big changes, and becoming the people they want to be? If we can imagine it, why can't we achieve it? Why is there suffering in the world, and what can we do to achieve personal happiness and fulfillment? Carl will also show that suffering comes not only from the fear generated by our "creature neurology," but also from what he calls "Suffering Devotion," our compulsion to (entirely unconsciously) limit and even damage ourselves in an unworkable effort to say "I love you" to our ancestors. 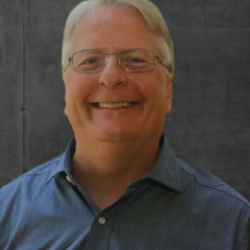 Carl will describe and demonstrate a new approach to achieving our goals for personal change and happiness that actually works. This method, Transformational NLP, incorporates Neuro-Linguistic Programming (NLP) as well as innovations drawn from quantum physics, recent discoveries in neuroscience, and systemic constellations. 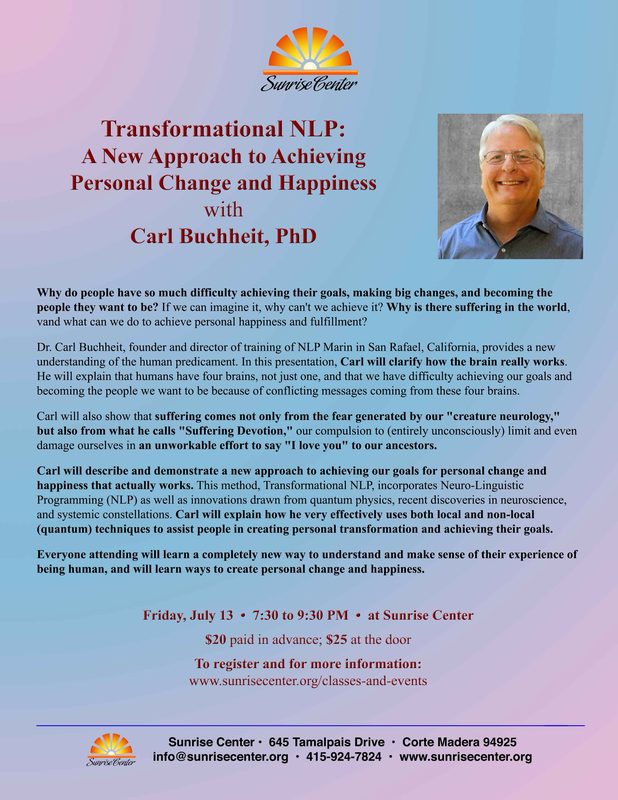 Carl will explain how he very effectively uses both local and non-local (quantum) techniques to assist people in creating personal transformation and achieving their goals. of their experience of being human, and will learn ways to create personal change and happiness.